For many who spoke up at the U.S. Environmental Protection Agency's public meeting here last week on limiting carbon pollution from power plants - no matter which side they took - it all came down to this: their children. 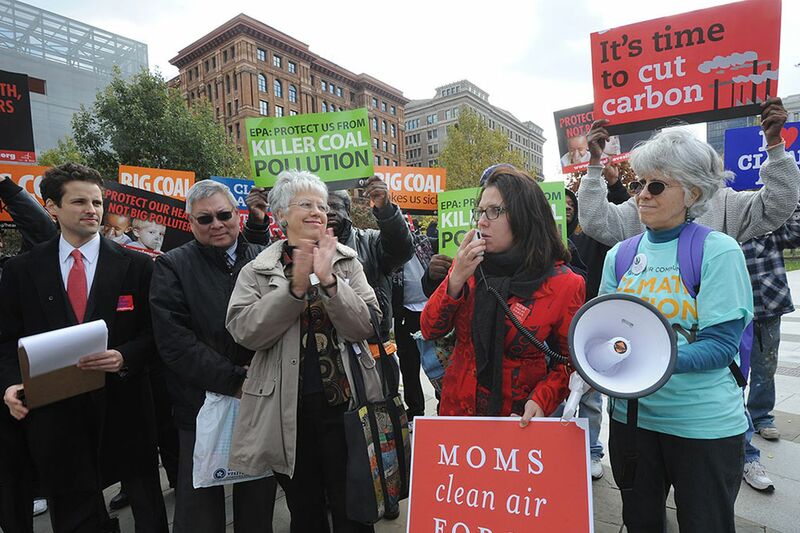 "It's time to clean up the air for the health of our children," said Gretchen Dahlkemper-Alfonso, a Philadelphia mother of three and a leader of the environmental group Moms Clean Air Force. Bryan Palko was worried about his offspring, too, but for a different reason. The fourth-generation coal miner from Western Pennsylvania said he wanted to "give my children a better future" - college, for instance - but feared that a tightening of regulatory screws could cost him his job. President Obama has called on federal agencies to address the growing worries around carbon dioxide, the primary greenhouse gas contributing to climate change. Power plants are the largest source of carbon pollution, accounting for one-third of all domestic greenhouse gas emissions. In September, the EPA proposed a rule to limit carbon pollution from new plants. By June 2014, the agency plans to put up what likely will be a far more contentious rule, one for existing plants. In an unusual move, the EPA sought public input at 11 "listening sessions" around the nation, culminating in Philadelphia. It was the only meeting held in a state that is both a major coal producer and coal consumer. Coal-fired power plants are the major emitters of carbon pollution, and presumably would bear the brunt of any new restrictions. That segment of the energy industry, however, has already been staggered by regulatory blows. Because of recent rules limiting emissions of mercury, sulfur dioxide, and other pollutants, some plants have spent billions of dollars upgrading. Many others have closed, switched to natural gas, or announced plans to do so, including 12 in Pennsylvania and three in New Jersey, according to a Sierra Club campaign to end the nation's coal dependence. Climate change "is not just a threat to our future. It is happening now," Shawn M. Garvin, the EPA's regional administrator for the Mid-Atlantic, said at the session's start. Cary Coglianese, a professor and regulatory expert at the University of Pennsylvania Law School, said the listening tour "is a pretty large-scale investment," but is not surprising. "The agency has been the subject of criticism lately, that it is engaged in a quote-unquote war on coal," he said. "So it makes sense to listen to what people are saying." And say it they did. At least 60 signed up to speak up for three minutes each. Representatives of "green" industries - solar and insulation, for instance - urged the EPA to consider energy efficiency measures for buildings, which would lead to fewer emissions because plants would not have to produce as much electricity. Most, though, weighed in on carbon limits. Health officials warned that a warming planet will lead to more smog, pollen, and other lung irritants. One mother choked up as she talked about her asthmatic child. A man with asthma so serious he could only whisper into the microphone begged, "I'm here to ask you to work very fast." Religious leaders spoke of a moral imperative to act. Environmentalists referenced Hurricane Sandy as a precursor of climate-change-fueled storms to come. Joseph O. Minott, executive director of the Clean Air Council of Philadelphia, urged the EPA not to give credence to industry appeals for more time and more "reasonable" rules. "What they're saying is, 'Protect our profits at the expense of public health,' " Minott said. Industry officials - coal executives, miners, union leaders - also had turns at the mike. For them, a major issue was reliable, affordable energy. John Pippy, chief executive of the Pennsylvania Coal Alliance, an industry group representing 250 companies and 41,500 workers, asked that carbon standards be "realistic, based on the technology we have currently available." He said that the coal industry puts $7 billion annually into Pennsylvania's economy and that new limits would hurt U.S. competitiveness, given that China and India will keep burning more coal than the United States. Others spoke of job losses already suffered and the effect on families and communities. "Absolute devastation," said Ed Yankovich, a vice president of the United Mine Workers of America. "What you're looking at here," said one Western Pennsylvania miner, "is an endangered species." John Duffy, a vice president of the Utility Workers Union of America, asked for job training programs, severance funds for laid-off workers, and economic development programs for struggling communities. "There shouldn't be one group," he said, "that should bear the whole brunt of this."